Public Cloud Versus Private Cloud has many points to consider rather than only the cost and when the cost is becoming more closer with Open Source Softwares. 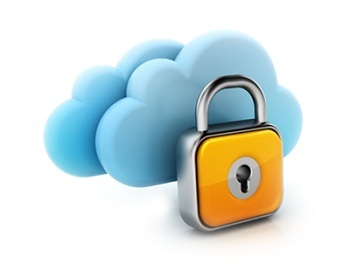 There was a very closely related article published before; Public Cloud versus Private Cloud – Where is Security ? In past few months, many things has been changed, so is for Public Cloud Versus Private Cloud – the typical comparison. For most people, public cloud is synonymous with Amazon or Rackspace and everything else not just private cloud. Does this really the right way to draw the line of demarcation between Public Cloud Versus Private Cloud ? Of course not. The main thing that has led to the development of the cloud is to have agility in meeting the need for hardware in the short term, at a reasonable cost. This means being able to launch new products, new functionality to meet a growing demand. The thought that the only way to meet our business agility and cost would be through public cloud is wrong and there are many examples like this that show the contrary as well. The cost to implement own structure of data storage today can be quite low and much lower than make use of public clouds, as it is easier to optimize the use of the private cloud for a use case and a workload specific. The important difference between private cloud and public cloud; however, is not so much the cost, but it has more to do with the properties and flexibility of resources. The cost of using public transport is significantly lower than that required for the possession of a private car. If you were to pay attention only to the purchase cost of a car that would have no economic sense, but having a car allows us a flexibility that public transport can not offer, not because it is less expensive, but because we want to control when and where we want to go, and we are willing to pay to meet these needs. More the time is passing, more we are moving away from the old way of managing a data center, going in favor of a more modern data center, a data center that can fulfill the need to control and can reduce costs. Cooling and cost of electricity should not weigh on the company, in fact everything might be completely outsourced. The main thing that makes it different from private cloud and private cloud is, who controls where and how our data is kept, how our services will be performed, what kind of infrastructure (compute, network, storage) we chose to conduct our business, most importantly, how much we are willing to share this environment with other users to reduce costs. This Article Has Been Shared 236 Times! Cite this article as: Abhishek Ghosh, "Public Cloud Versus Private Cloud : Cost Should Not Be The Issue," in The Customize Windows, November 1, 2012, April 21, 2019, https://thecustomizewindows.com/2012/11/public-cloud-versus-private-cloud-cost-should-not-be-the-issue/.